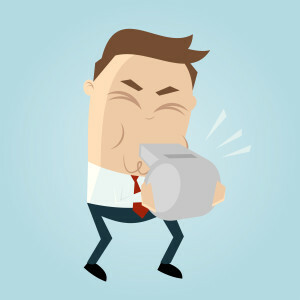 Bribery and FCPA whistleblowers cannot be prohibited from seeking and obtaining a reward under the Dodd-Frank program by their companies. As background, international whistleblowers are eligible for large rewards for reporting corporate bribery under the Dodd-Frank reward program. Companies cannot prevent whistleblowers from obtaining rewards under the program. 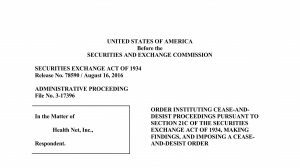 The United States Securities and Exchange Commission (SEC) issued a Cease and Desist Order in the matter of Health Net wherein the SEC made clear that companies cannot prevent employees or former employees from obtaining a reward under the Dodd-Frank program by requiring them to contractually waive their rights to financial compensation as part of their employment and severance agreements. Health Net had approximately 600 employees sign severance agreements that contained a provision requiring them to waive their rights to seek a reward under the Dodd-Frank program. In finding that Health Net had violated Rule 21F-17 under the Exchange Act – which deals with Whistleblower Incentives and Protection – the SEC emphasized that Congress had determined that it was extremely important to provide financial incentives to whistleblowers in order to promote whistleblowing to the SEC. If anyone has information about any SEC-regulated company (or one of its local affiliates, subsidiaries, or agents) making payments to officials or providing jobs, trips, gifts, or entertainment to officials and would like to discuss making a confidential or anonymous submission under the Dodd-Frank program, please feel free to contact me at arickman@rickmanlegal.com for a free consultation. For more information about the Dodd-Frank reward program, please click here. And for more details about how the reward program applies to FCPA whistleblowers, please click here.